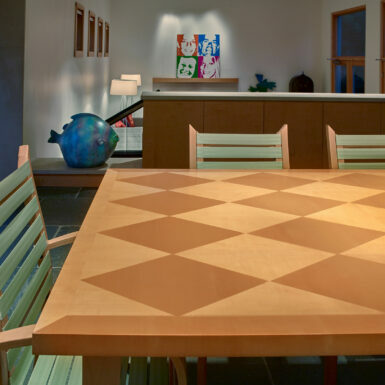 When I designed our house, we couldn’t find a dining table that fit the soft modern aesthetic…so I designed a custom-made one. 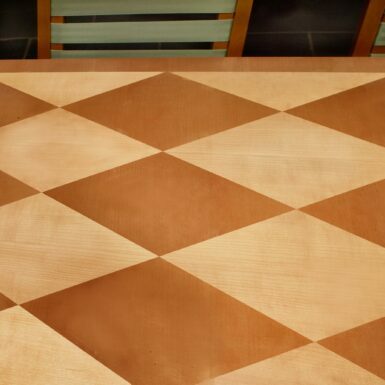 The table is made of maple. It seats eight people easily and ten people when needed. 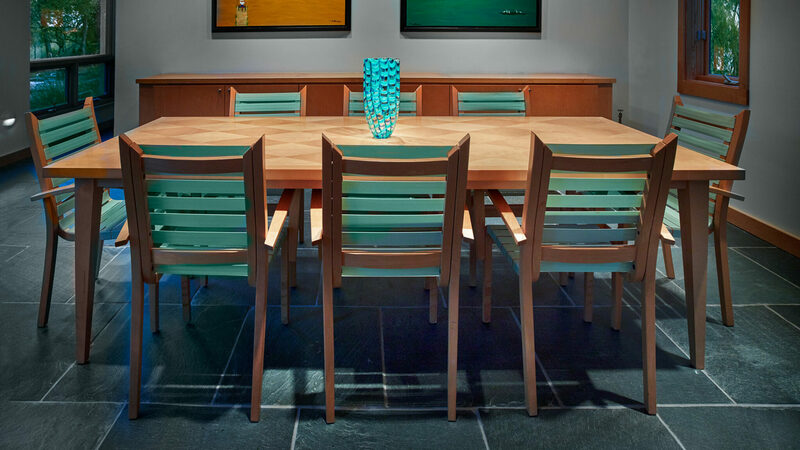 The clear-finished maple ties to the maple trim and cabinetry used throughout the house…but we added a slight twist. 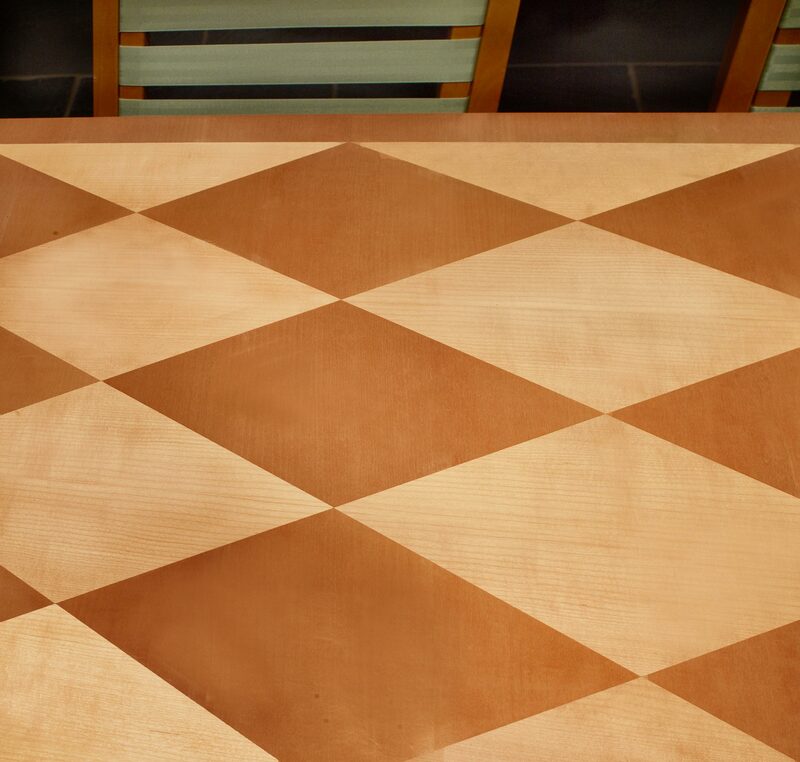 We created a harlequin pattern by turning the the maple veneer grain in opposite directions. 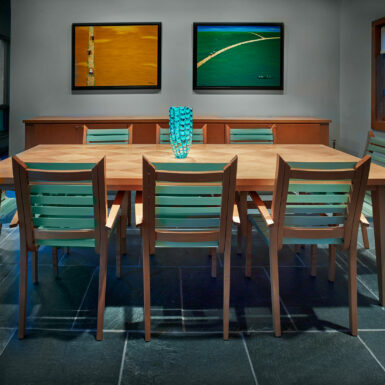 Depending on the light, the table can look monolithic…or it shows a distinct contrast between the two grain directions. These photographs were taken to intentionally show the contrast, but it literally changes appearance as you walk around it. 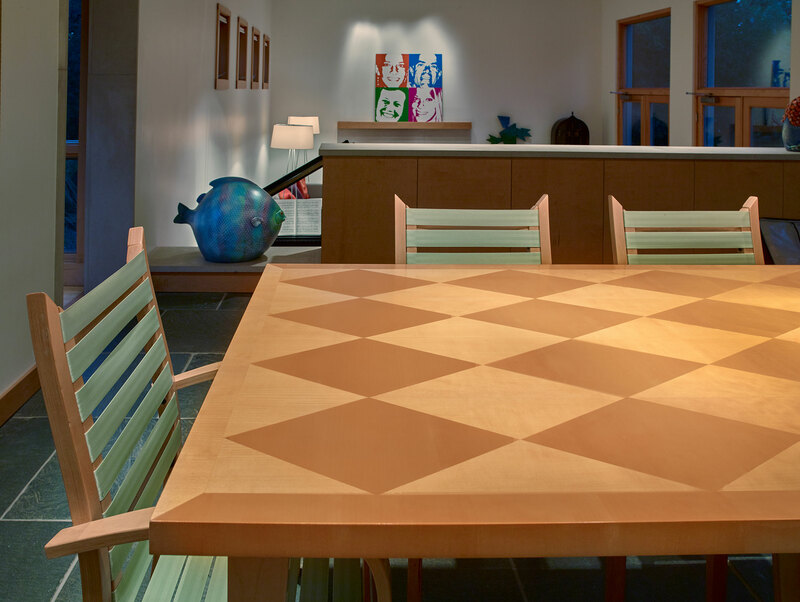 Solid stock edge pieces surround the veneer top to provide resistance to damage. 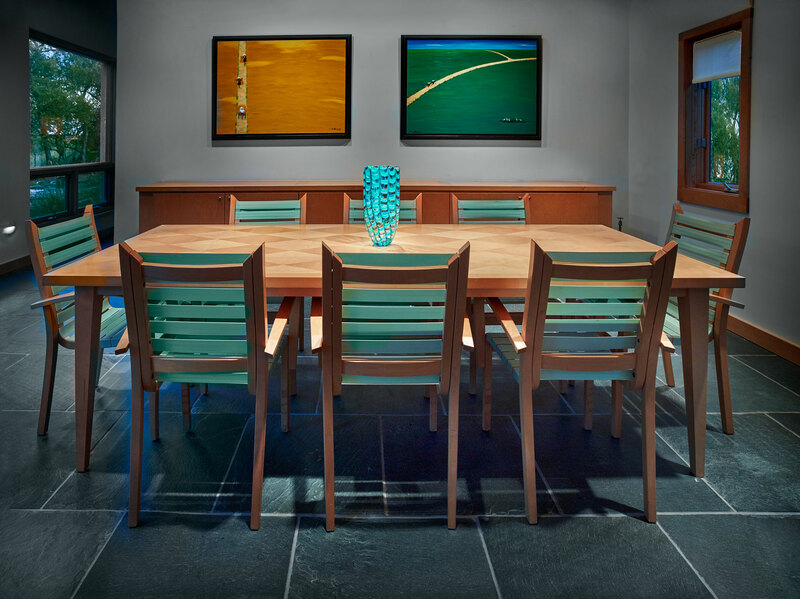 Tapered wood legs, set in from the edge, in shadow, allow the top to float and soften the massiveness of the table.